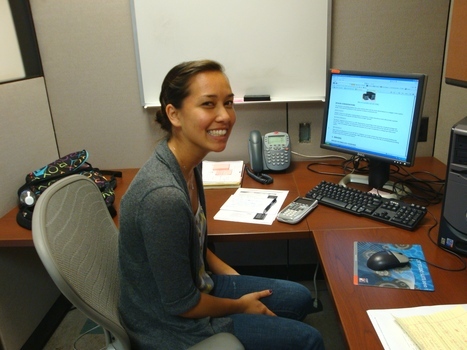 Jasmine Pahukula was born and raised in Kailua, O’ahu, and graduated from Sacred Hearts Academy in Honolulu. She will be entering her junior year pursuing a B.S. in Civil Engineering at Oregon State University. She also plans to attend graduate school to earn a master’s degree. Jasmine is a member of the Hui O Hawai’i Club at Oregon State, and she also plays intramural volleyball. The ocean has great potential to provide vast amounts of power, which can be generated from the kinetic energy carried by ocean waves, tides and currents. Trex Enterprises has already made significant advances in harvesting ocean waves to produce electricity by developing a rotary-drive wave energy generator. Trex has applied this same concept and design to develop a self-powered emergency position-indicating radio beacon (SEPIRB) intended for use by submarines and ships in distress. Our goal was to design a mechanical cycler to test the lifetime, durability, and power generated by the SEPIRB. Design requirements included the ability to run continuously for 1-2 weeks, change the period and height of the simulated waves, and pull with a force of at least 60 lb, which is necessary to generate a target power of 15 W. This was accomplished with a combination of a ball-screw driven translation stage, a cable with a series of pulleys, and a motor with an electronic controller. In order to simulate a variety of wave patterns, we programmed the controller to create variations in the ball nut’s speed and distance traveled. Due to the inherent mechanical efficiency of ball-screw driven translation stages, we anticipate that our cycler will easily provide the desired 60 lb of force and two-week operation period. In the future, this cycler can be modified to fit specific requirements to test other wave energy generators, allowing for continued research and development of alternative energy resources.